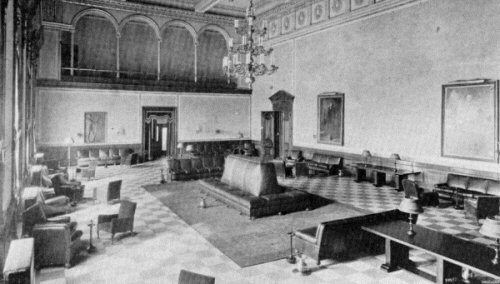 The House and Senate chambers are located on the third floor. 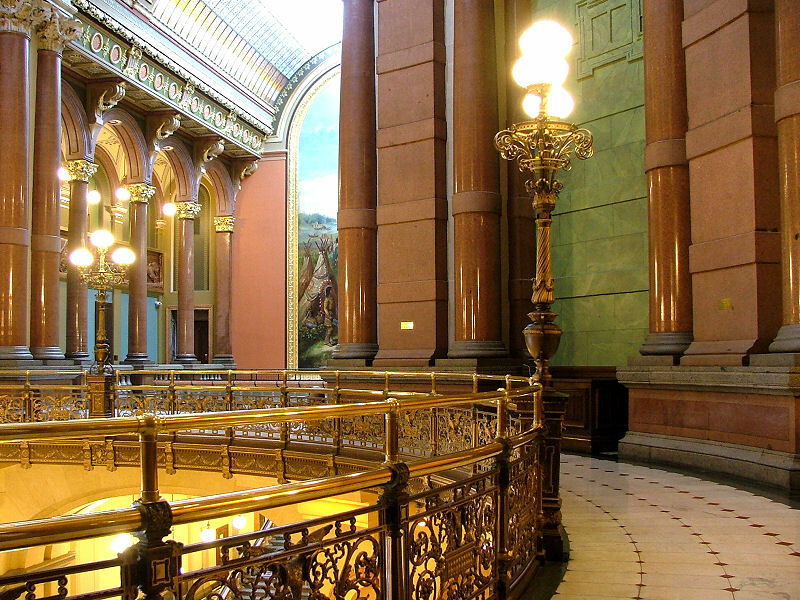 During session months the third floor rotunda is the site of a good deal of activity, as lobbyists, citizens and state agencies work to promote or defeat various measures before the Legislature. 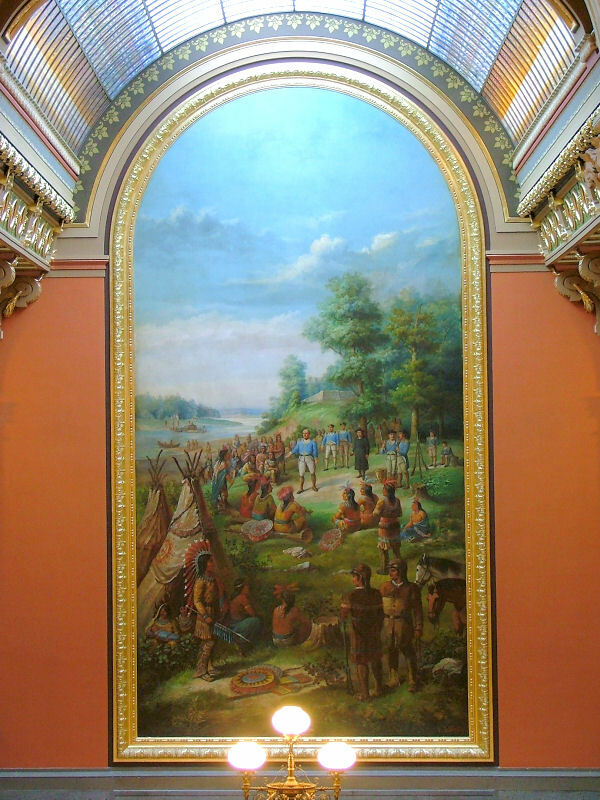 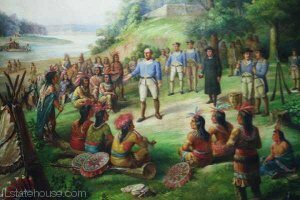 This depiction of George Rogers Clark negotiating with Native Americans at Fort Kaskaskia in 1778 is the largest painting in the Capitol and is best viewed from the third floor. 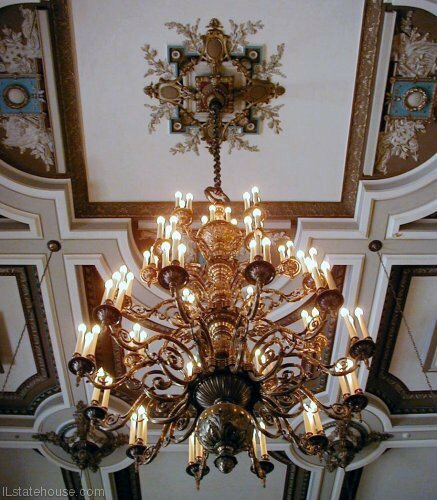 It was done by Gustav A. Fuchs, a German immigrant from Chicago, and completed in 1886. 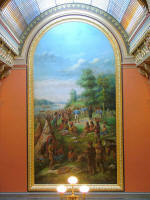 The painting measures 40 x 20 feet and has been criticized because the Indian culture portrayed was never found in Illinois. 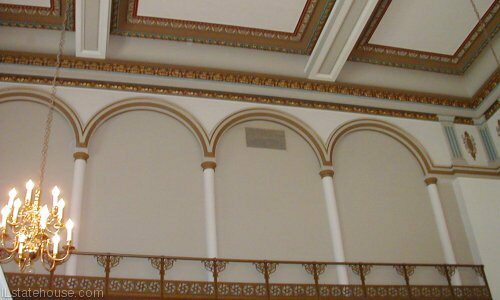 Room 309, currently occupied by the Senate Minority Leader and members of his caucus and staff, has had an interesting history. 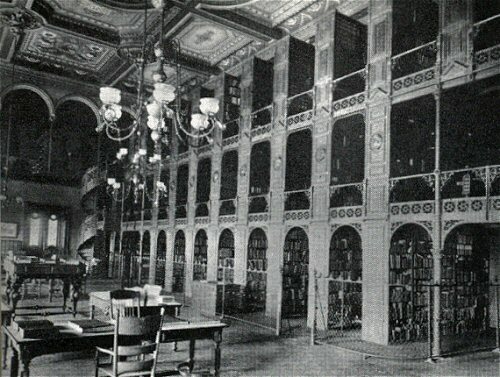 The room has housed the State Natural History Museum, State Library, a legislative lounge (twice) and the Automobile Dept. 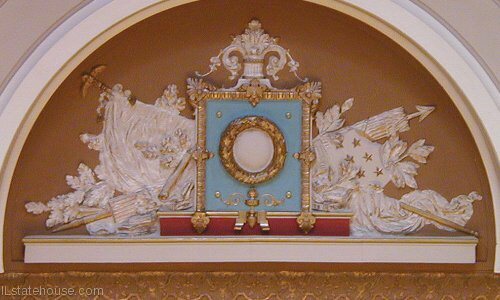 of the Secretary of State.